New York's Best Music Mix! 2:00 a.m. - 5:00 a.m.
“Game of Thrones” returns for its eighth and final season on Sunday, who will survive? Over the course of its eight seasons, it has filmed in 10 countries: Northern Ireland, the Republic of Ireland, Morocco, Malta, Spain, Croatia, Iceland, the United States, Canada, and Scotland. Production went through 52,000 bags of paper snow . . . 163 tons of propane . . . 3,000 pyrotechnic effects . . . 4,000 gallons of artificial blood . . . 20,907 candles . . . 25 miles of rope . . . 22,966 feet of waxed cotton fabric were used to make more than 330 tents . . . and 50 miles of fabric were used for costumes. Over the course of eight seasons, “Game of Thrones” used 12,137 wigs and hairpieces. And a lot goes into that. Daenerys’ wig color and style are the result of more than two months of testing and seven prototypes. That’s Emilia Clarke’s character. Season Eight was reportedly its most expensive, with a $90 million budget . . . which is roughly $15 million each episode. And the main cast members were paid $500,000 per episode. 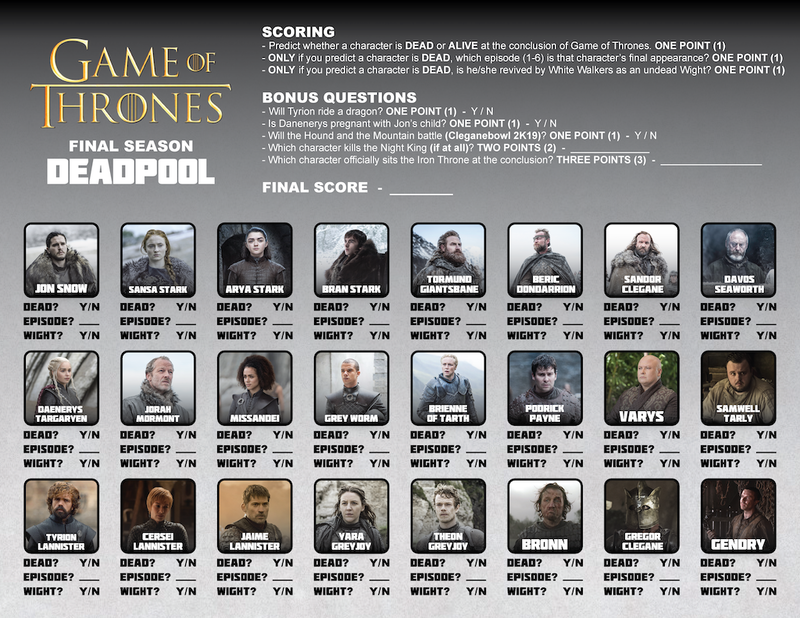 “Game of Thrones” has racked up a pretty impressive body count over the years. According to an unofficial fan count, 174,373 individuals have been killed in the first seven seasons. There are 432 minutes left in the series, spread across six episodes. Season Eight premieres Sunday night, and the series finale will air on May 19th.